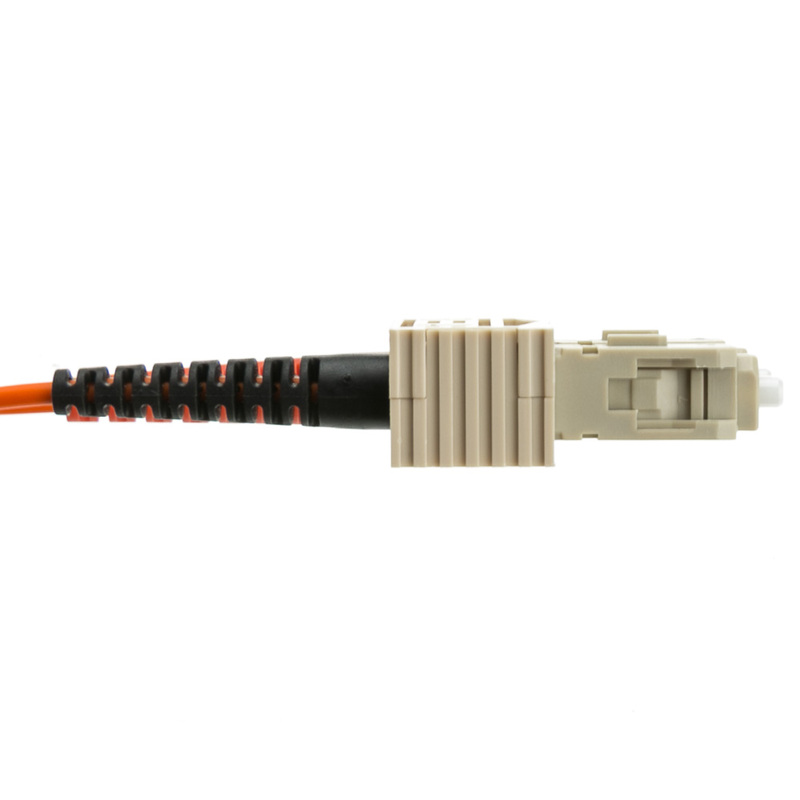 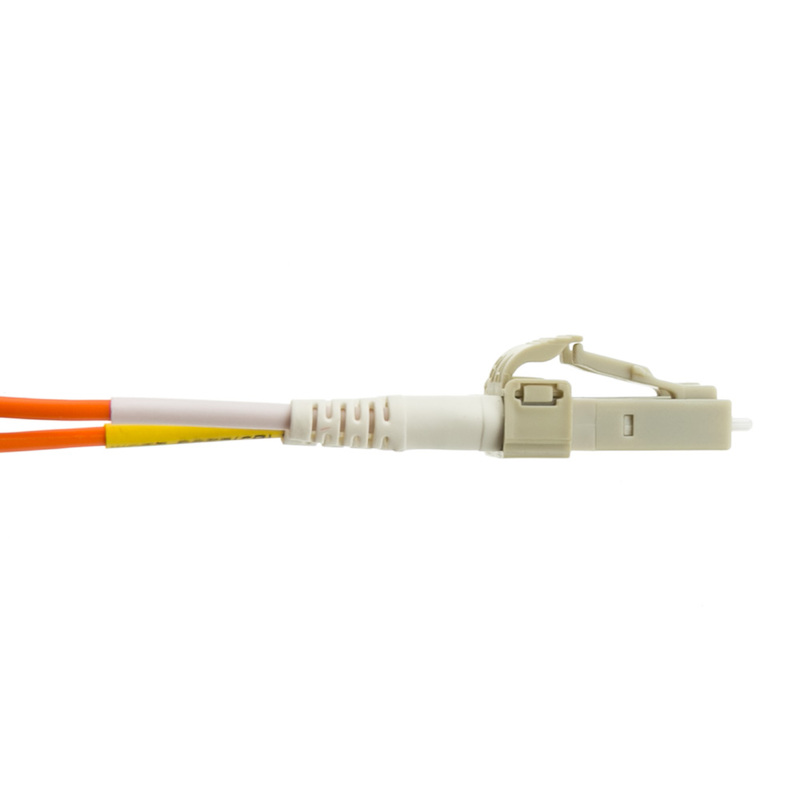 This 30 meter (~98 feet) fiber optic cable is terminated with a LC (Lucent Connector) connector on one end and a SC (Subscriber Connector) connector on the other end. 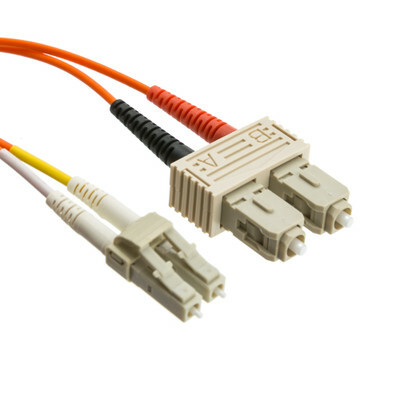 It is an OM2 multimode fiber (50 micron core) designed to transmit data across shorter distances at LAN speeds. 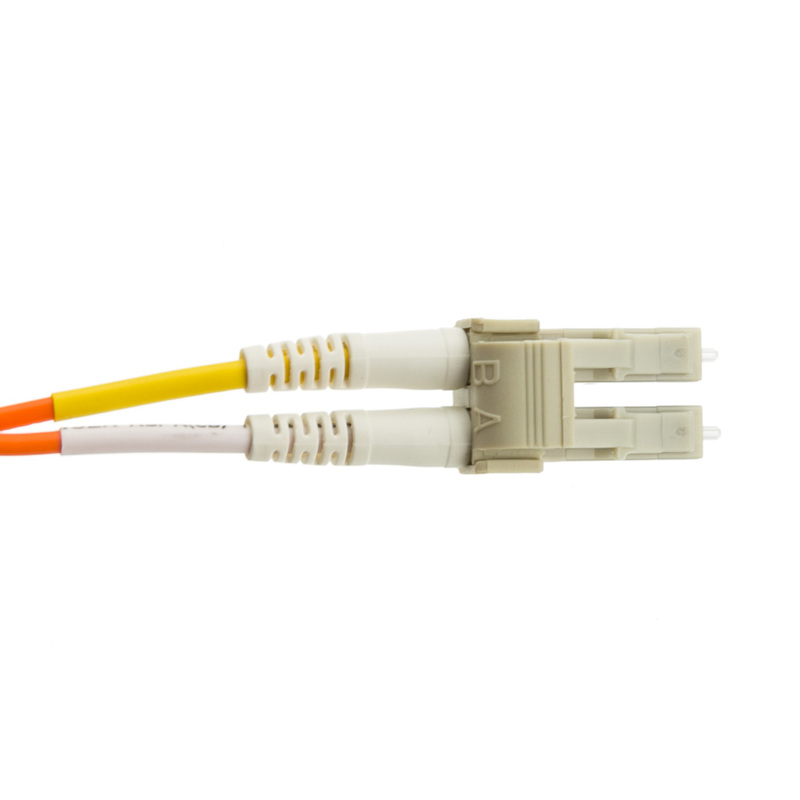 The cord is duplex (two fibers) which means it permits synchronous communication between devices. 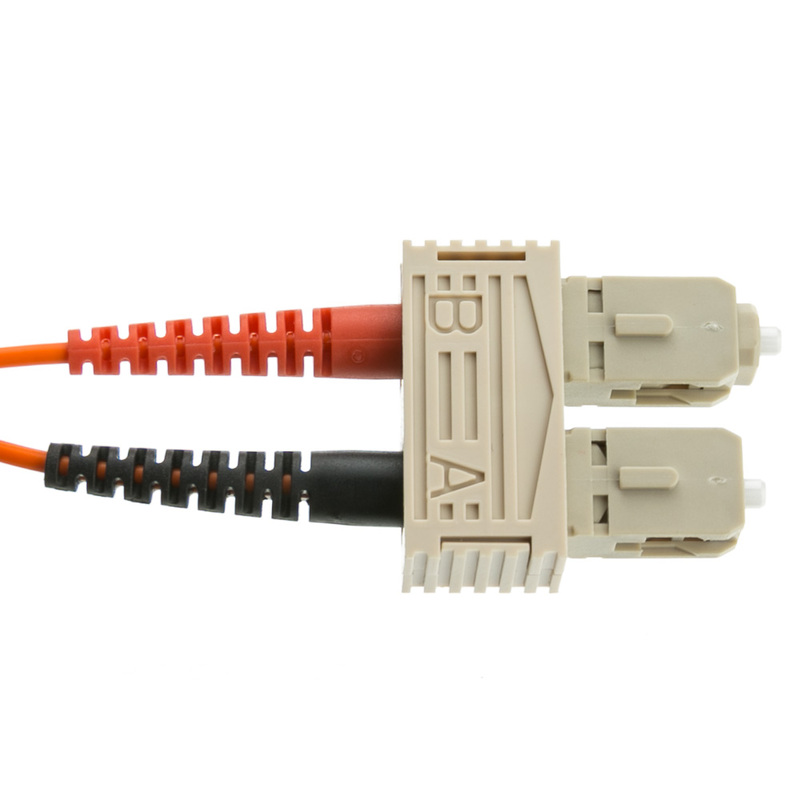 The cladding diameter is 125 microns.